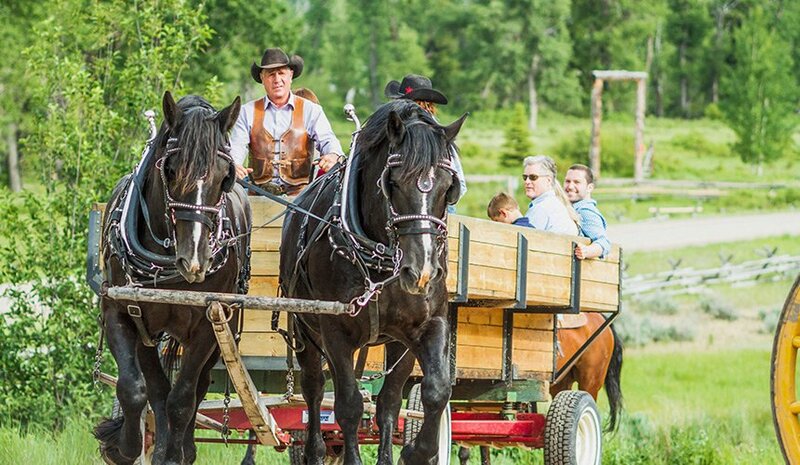 In Montana, most ranches are family-run, relying on several generations for day-to-day operations. 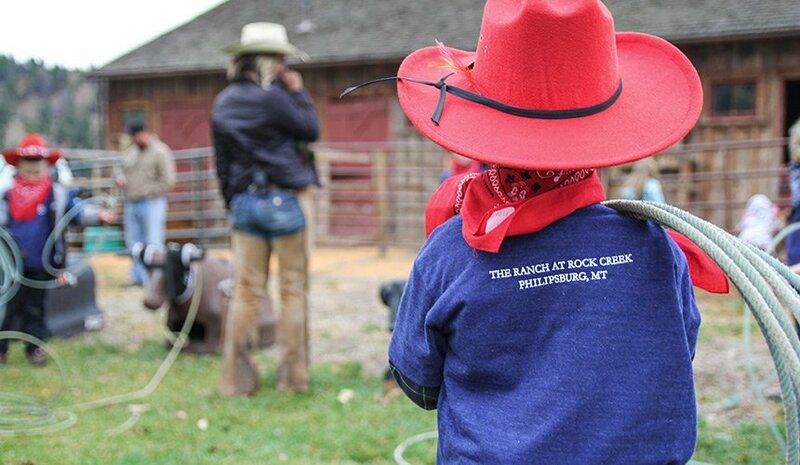 The idea of group cooperation and going the extra mile still inspires what we do at The Ranch at Rock Creek. 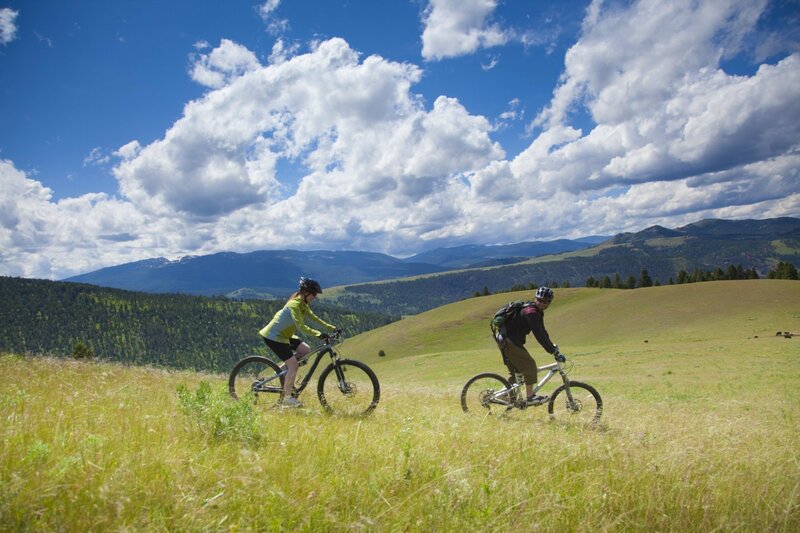 It is a place where families have powerful bonding experiences on 10 square miles of pristine ranch land. In 2018, we earned the Virtuoso Travel Award for Best Family Program. Family reunion vacations usually require extensive event planning. Our event coordinators use the existing all-inclusive nature of our Forbes Travel Guide Five-Star resort and enhance it with experiences, like welcome gatherings, private meals and geocaching scavenger hunts. Whether you’re looking for a space for three or 125, we can cater to your favorite family reunion ideas. Our robust year-round activities program works for large or small groups. 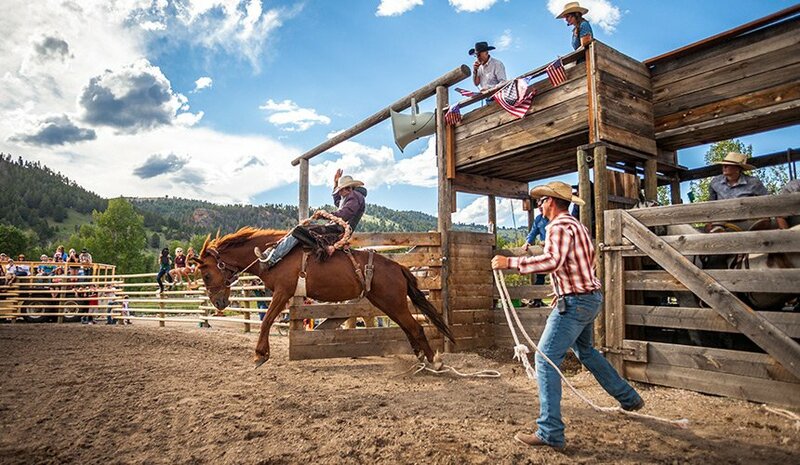 You can tackle the ropes course together one morning, and then break off into smaller groups to do horseback riding, skiing or fly fishing in the afternoon. 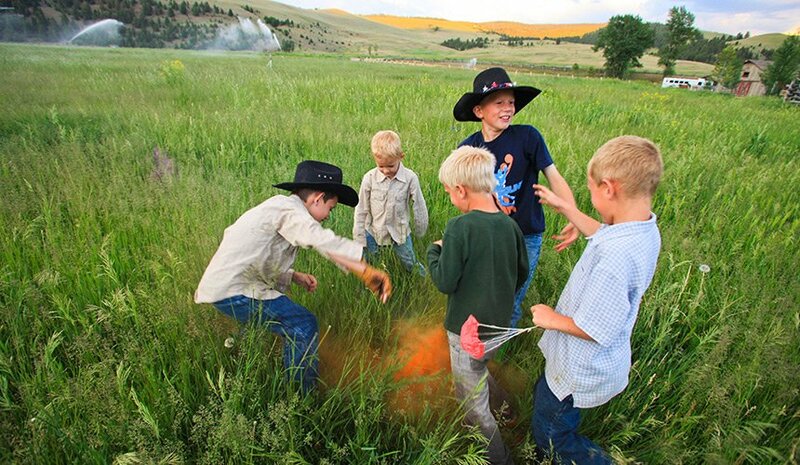 Our Little Grizzlies Kids Club brings The Ranch to life for kids aged four to 12. With the help of our Little Grizzlies counselors, children discover a whole new world while immersing themselves in The Ranch and its natural environment. Being hands-on and device-free has never been more fun. The interactive atmosphere ensures personalized experiences while strengthening family bonds. 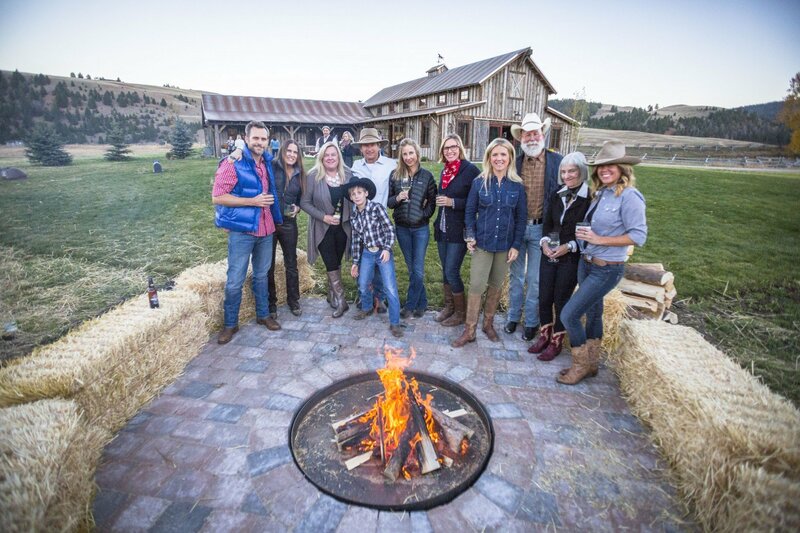 Many of our accommodations are also tailored to families, such as the five-bedroom Bear House and the Historic Barn, featuring Stables, a unique accommodation with three bunk beds in the original horse stalls of the barn. Full-size kitchens and laundry facilities make many of our homes as practical as they are beautiful. 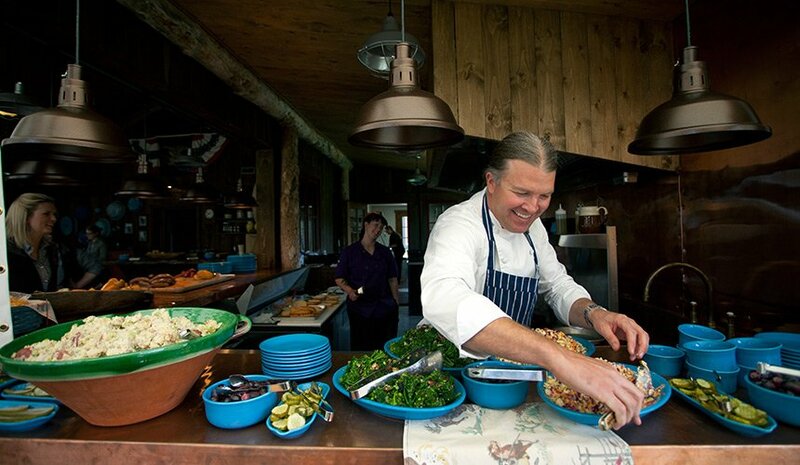 With a different dining experience every night and seasonal farm-to-table fare, dining can be as exciting as the rest of your day. * Additional cost activity. Set-up fees are required for private events. See below for details. All guest itineraries are customizable to meet personal preferences, ability levels and needs. 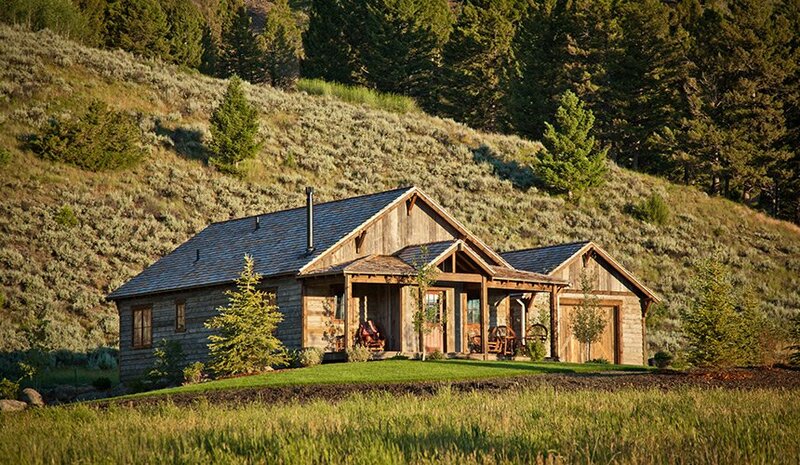 From two-story houses to a cozy single-bed romantic cabin, our luxury homes are your private home on the range. Many of these large homes feature full-sized kitchens, laundry facilities and private porches. Favorite family accommodations include Eagle’s Perch—with its bunk bed suite, Moose House and Bear House. 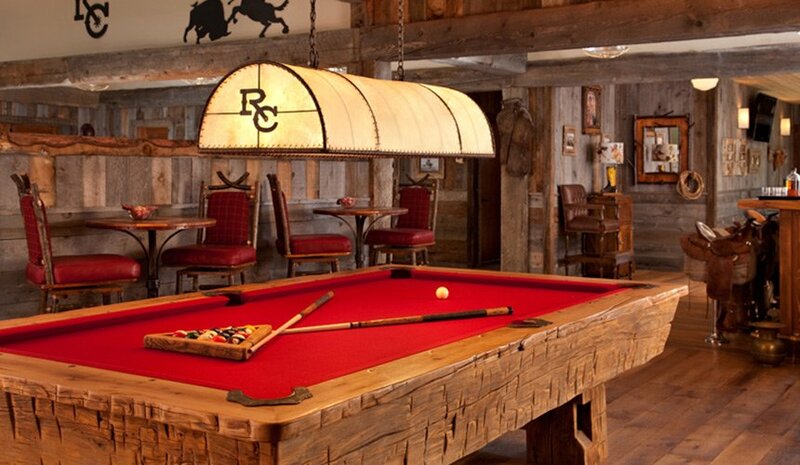 Our remodeled 19th-century barn houses an important piece of The Ranch at Rock Creek history. 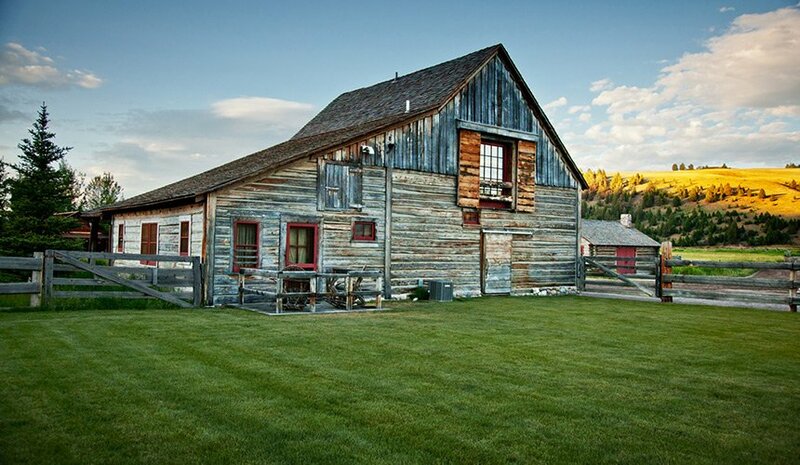 This original structure was lovingly restored to three unique accommodations that can be booked separately or in concert to house a large group. Stables is suited to children’s sleepovers with three sets of twin bunk beds, a queen pull-out and a full bathroom with two showers, while Loft and Wrangler are perfect suites for parents and grandparents. 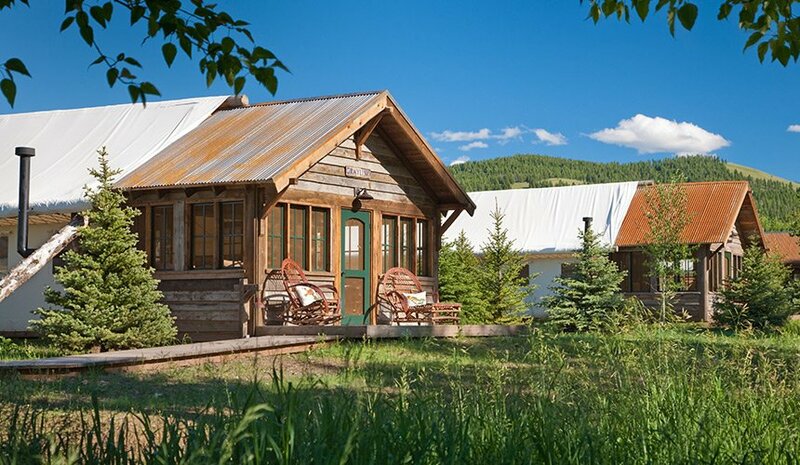 Try one of the newest styles of Montana adventure—glamping. Each 1,047 sq. ft. Family Canvas Cabin has two rooms separated by a curtain, a private bathroom, two gas stoves, a comfortable reading nook and a screened porch overlooking Rock Creek. 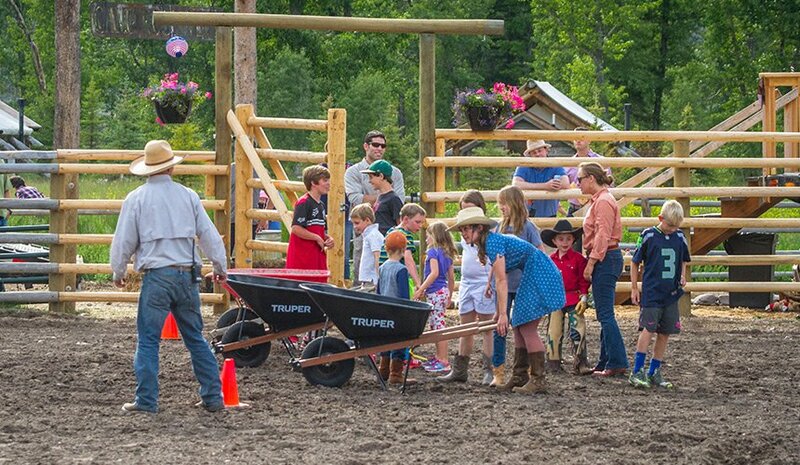 A tailored Ranch experience for kids ages four to 12. Children learn about the history, environment and wildlife in Montana, and they learn new hobbies with lessons customized for their strengths and interests. Adults can adventure at a faster pace or take a little time for themselves during these optional daily programs. 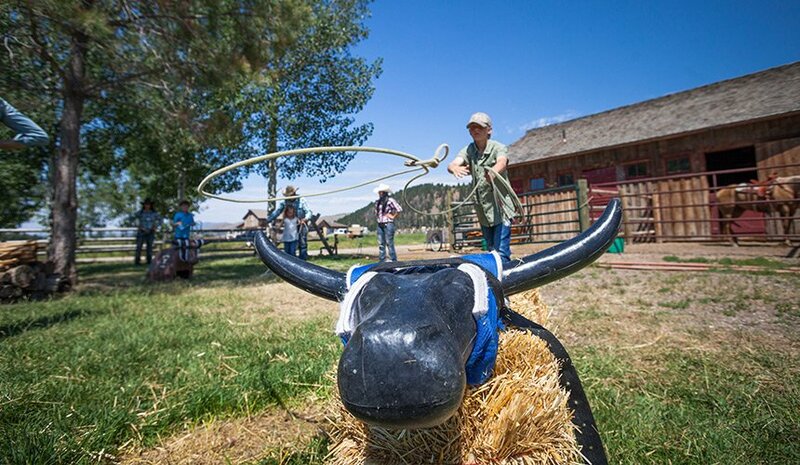 Mix traditional family reunion activities—like tug o’war—with Western roping, stick-horse races and bean bag tosses. This private event is specially designed for family gatherings. Our 19-feature ropes course challenges groups to work together to achieve a target. 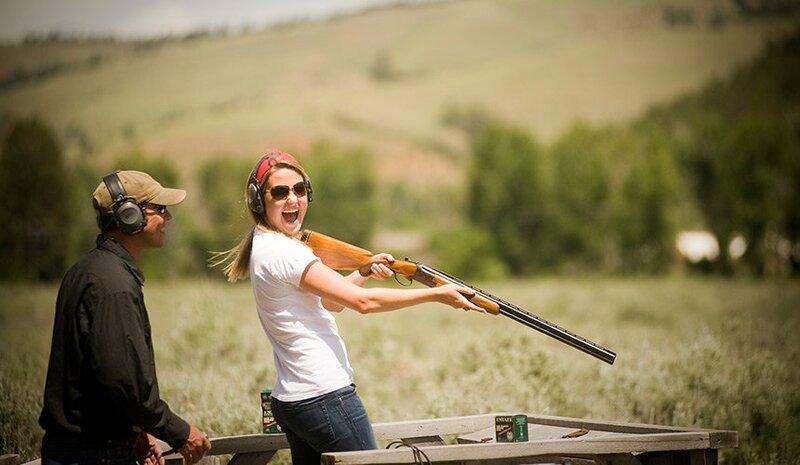 The lower elements are ideal for team building. 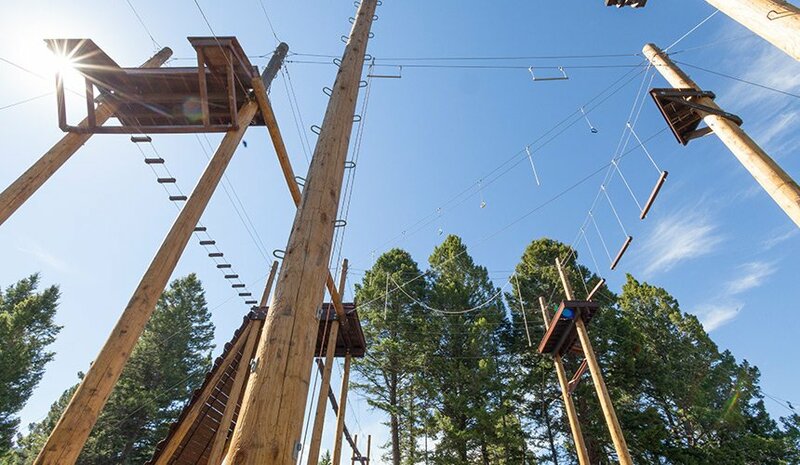 The 13 elevated elements include three zip lines, rope bridges, 35-foot challenges and the leap-of-faith. Those who don’t wish to complete the course are invited to enjoy the spectacular view atop the platform or watch the excitement from terra firma. This exciting outdoor activity can be more than a few hours of fun; it can be the tie that binds families together. Geocaching integrates treasure hunting with modern-day technology. 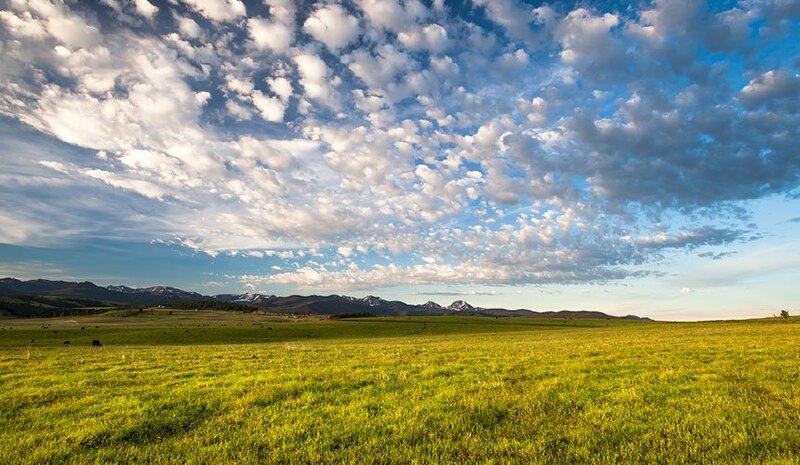 Using GPS devices and coordinates, groups can locate boxes hidden on thousands of acres of ranch land. Considered “hiking with a purpose,” this activity is just as fun in a pair of snowshoes as a pair of hiking boots. Caches can be customized for private events; the clues lead guests toward secret messages or a grand prize. Nothing brings out healthy competition like a bowling tournament in the Silver Dollar Saloon. 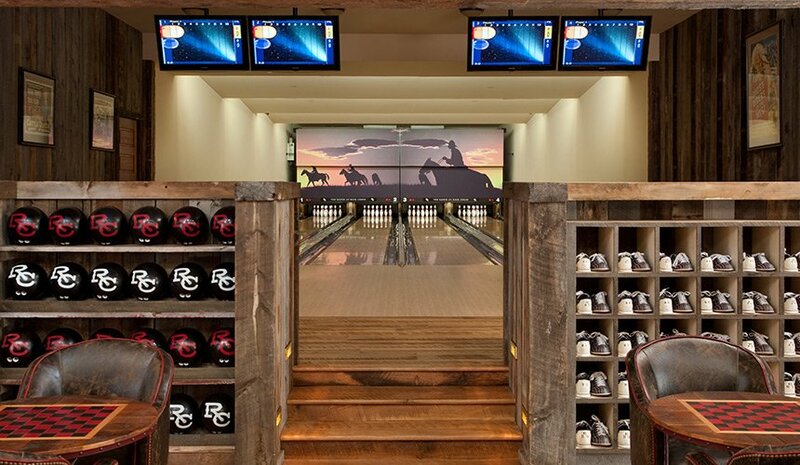 Enjoy a four-lane bowling alley with computerized scoring, complete with a selection of balls and bowling shoes in assorted sizes. Evening entertainment in the Silver Dollar Saloon includes billiards, table tennis, shuffleboard, karaoke, private movie cinema, board games and four lanes of bowling. Bowling, shuffleboard and dart tournaments add a competitive flare to the night’s events. Step outside and roast s’mores over a bonfire or stargaze into the night.